We all know we should be doing warm ups before we begin to exercise. However, confusion often lies in the type of warm up we should be doing. At the gym, you will far too often see people get straight on with their exercises. Sometimes you’ll see people warming up for half an hour, you will also see a real variety of exercises performed during a warm-up from running and skipping to static stretching and ballistic stretching. Some people opt for a dynamic warm up and others will just warm up just the specific body part they intend on working during their gym session. Here’s what Aurélien advises. Although warm-up methods are numerous and sometimes similar in conception, even while being total opposites, one concept is always important: elevating the internal temperature of the muscle. In 1979, Bergh and Ekblom noted that maximal strength and power increase as muscle temperature increases. The increase in strength is about 2 % per 1.8 °F (1 °C), which, among competitive athletes, could be a determining factor (especially in powerlifting and weightlifting, in which 2 percent could translate into a lot more weight!). Because the temperature of the muscles and tendons at rest is about 98.6 °F (37 °C), the goal is to drive that temperature up by doing a warm-up. At these temperatures, physiological reactions function optimally and the speed of biochemical reactions is at its highest (Schmidt and Thews 2013). If the muscles and tendons are most productive at a temperature of 102.2 °F (39 °C), the same holds true for the nervous system and the joints. An athlete who has warmed up to 100.4 to 102.2 °F (38 to 39 °C) can do a greater amount of work with less fatigue, less risk of injury to muscles and joints and with greater precision than an athlete who has not warmed up. Unfortunately, no single customised warm-up is both perfectly designed around the scientific principles of sport and appropriate for every type of workout. Forget the dream of an ultimate warm-up routine. The most important aspect is that the warm-up should be adapted to an individual and to the planned workout. Because our workouts can be done any time of the year, anywhere in the world, indoors or outdoors, and because you can work out almost every day, here are the various elements that you should keep in mind to customise your warm-up for any situation. Generate some real heat: The temperature of the body increases only if the power provided by the muscles is greater than 50 watts, so the intensity has to be high enough. Be careful: The amount that a person sweats varies greatly from one person to another, so perspiration is not a good way to judge a warm-up. Heart rate is a much better indicator: either between 140 and 160 beats per minute or between 60 and 80 percent of functional capacity. Conserve the heat: The body cools down through radiation (the body radiates infrared heat and cools itself ) and evaporation (sweating). The cooler the temperature is, the more important it is to wear sufficient clothing. Warm up gradually: Don’t exhaust yourself (maintain your energy). The combination of exercises you use should allow you to increase the intensity gradually right up until the beginning of the workout. Alternate the work: It is imperative, both physically and psychologically, to alternate exercises and add variety to your warm-up. You should perform exercises that recruit your cardiorespiratory system as well as exercises that activate different muscle groups and joints. In this way, whole-body and muscle-specific exercises are combined in the warm-up in a varied fashion. A modern warm-up includes three parts that should always be included. The choice of content and length that we provide here are only examples; they are not the ultimate combination! You should select your exercises systematically depending on the context and while following the principles we have already given you. Be careful! Just 10 to 15 minutes is enough time for your core and your head to reach 102.2 °F (39 °C). Do not trust in that alone, because it will take 10 minutes more for your limbs (and those muscles) to reach 100.4 °F (38 °C) (especially because of greater loss of heat and the difference in blood volume between these areas). The goal of this part of the warm-up is to activate the cardiopulmonary system by gradually waking up the cardiac and respiratory systems. To do this, the focus should be on low-intensity total-body exercise. Running is perfect for this, provided you remember to include variations (crossing, high knees, and so on). Active dynamic stretches consisting of stretching for about 8 seconds, contracting for about 8 seconds, and then dynamically stretching for about 8 seconds. Length: 10 minutes (can be combined with the technical content of the actual workout) Envision your warm-up with the workout in mind. A complete warm-up should include specific components for the particular needs of the athlete (a noted weakness or a distinctive need of the athlete’s body) and the specific requirements of the exercises that will be performed in the workout. The technical areas are of primary concern: footwork or strides, squats with varying levels of strength or semitechnical weightlifting exercises. The last part of the warm-up is the essential transition that leads from a total-body warm-up to the heart of the workout by specifically reactivating the motor patterns and muscle memory. Holding static poses after a general warm-up, which makes you lose all the good effects (for example, running followed by a long series of floor stretches). Training circuits done as a warm-up involving a drastic increase in heart rate but no significant change in cardiac output. Warm-ups that are too long or too short. Passive stretching used as a warm-up. Warming up with an ointment, which has only a peripheral effect. Warming up with sudden, complex motor exercises (weightlifting exercises, kettlebell, and so on). 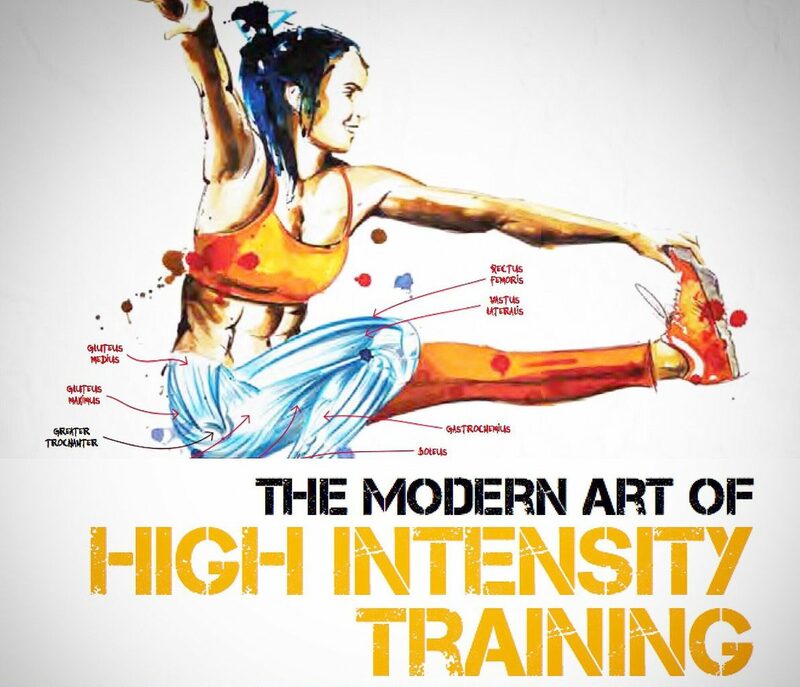 The warm up tips in this blog were taken from The Modern Art of High Intensity Training. For more insight on exercises and workouts, order your copy now. Pingback: Aerialibrium - Yay it’s Summer, but that doesn’t mean you can skip the Warm-up!